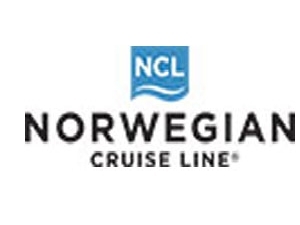 Those looking to book one of the exciting 2016/17 Norwegian sailings can do so now, benefitting from a great choice of free extras when the booking is made before 30 November 2015: Guests may choose between one of four free extras unlimited drinks, speciality restaurants, internet package or on board spend. Guests booking a Suite or The Haven by Norwegian Suite will get all four. Among the many highlights are Norwegian Stars brand new cruises in winter 2016/17 to the Gulf, India and Sri Lanka, as well as voyages to South East Asia, Australia and New Zealand. During the upcoming summer season Norwegian Cruise Line will again have 4 ships cruising in Europe: Norwegian Epic, Norwegian Jade, Norwegian Spirit and Norwegian Star will sail to all of the Mediterraneans and the Baltic Seas highlights departing from Copenhagen, Barcelona, Venice and as new embarkation port Istanbul. The varied programme for the Caribbean will among other news feature cruises out of San Juan, Puerto Rico, for the first time. The youngest member of the fleet, Norwegian Escape, will spend her first full season in the Eastern Caribbean presenting dream beaches and nothing but relaxation to its passengers. The extended South America programme includes new itineraries starting in Buenos Aires and Rio de Janeiro to bustling Sao Paolo and some of Brazils most beautiful beaches as well as Uruguays capital Montevideo.